ADDvantage® is a member of a Realtor® Board that utilizes the Emerald Coast MLS. ADDvantage® brokers have membership in many Realtor® boards, providing sellers with many possible MLS choices in which to be listed. The Emerald Coast MLS includes all listings from the Emerald Coast Assoc. of Realtors, the Navarre Area Board of Realtors, and the Santa Rosa County Board of Realtors. Also known as ECAR, the Emerald Coast Association of Realtors' main headquarters is located at 10 Hollywood Blvd SE, Fort Walton Beach, FL 32548-4997. Emerald Coast is actually an area on the coast of the Gulf of Mexico, roughly starting in Pensacola and ending near Port St. Joe in Florida. Popular vacation spots along the Emerald Coast include Pensacola Beach, Fort Walton Beach, Destin, Okaloosa, Santa Rosa Beach, and Seaside. Destin, FL holds the nickname "World Luckiest Fishing Village" and Panama City Beach hosts the annual high-dollar Bay Point Billfish Invitational. Spanning approximately 100 miles, Emerald Coast is home to the Pensacola Naval Air Station where the Navy's famous Blue Angels are located, Elgin Air Force Base, and Tyndall Air Force Base. The Navarre Area Board of Realtors is located at 1917 Navarre School Road, Navarre, FL 32566. This board of realtors was originally founded in 1979 and makes sure that all 300 realtors within their jurisdiction are practicing ethical standards as required. Navarre is located in Santa Rosa County, about 25 miles east of Pensacola and 15 miles west of Fort Walton Beach. Calling its self "Florida's Best Kept Secret", there is a boardwalk, park, and butterfly house located near the bridge to Navarre Beach. As part of the PARMLS.com, the Santa Rosa County Board of Realtors' head office is at 5373 Stewart Street, Milton, FL 32570 and has been in business since January of 1961. Milton is the location of Santa Rosa's county seat. Formally known as Scratch Ankle, Milton is home to the largest mill around and the Naval Air Station Whiting Field. As well Milton holds the Florida Department of Corrections' Santa Rosa Correctional Institute and Annex which can hold up to 1,600 male inmates. 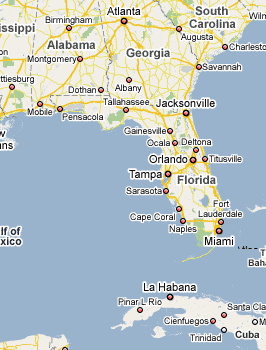 Jay, FL is in the very north of Santa Rosa. It is a farming community, with cotton, soybeans, peanuts, and hay being major crops. Jay is also the site of a minor natural gas and oil field. Jay is the home of PGA Tour Golfer Thomas Brent "Boo" Weekley. Gulf Breeze is north of Pensacola Beach, south of Pensacola, and surrounded by Pensacola Bay. AAA has designated Gulf Breeze as also one of seven "strict enforcement areas" for traffic laws in the United States. Note: ADDvantage® is not the Emerald Coast MLS. ADDvantage® utilizes the Emerald Coast MLS Multiple Listing Service system to provide flat fee MLS listings.